Android Messages transforms the background from completely white to black after enabling the dark mode. 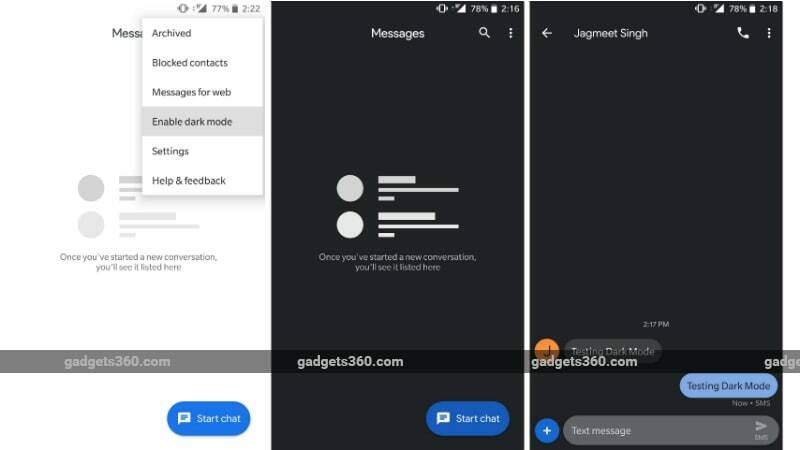 Android Messages has received a new update that brings a dark mode. 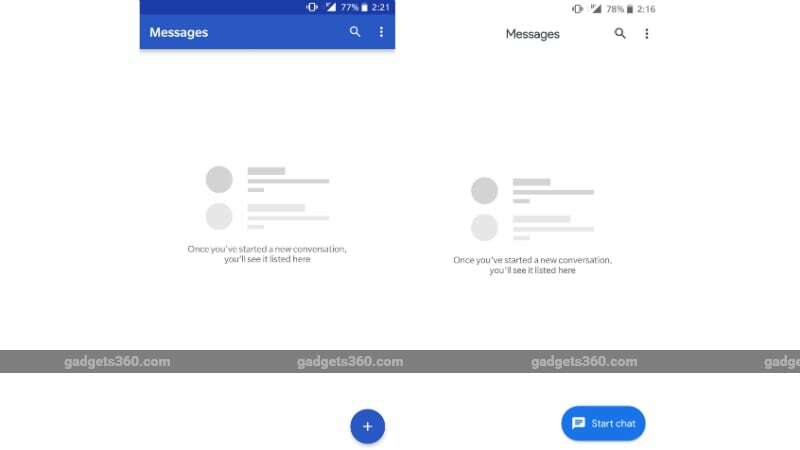 The latest Android Messages update (version 3.5) also includes a revamped interface that has Google's Material Theme elements as well as Google Sans font. The fresh interface matches the design of Samsung's proprietary Messaging app that has an all-white background. Google has also brought its machine learning-based Smart Reply feature that initially arrived on Inbox by Gmail in 2015. The Android Messages app did receive the same Smart Reply feature in January this year, but that was limited to Project Fi users. Among other new features, the updated Android Messages app has included the dark mode that lets you completely transform the background from white to black and fonts from black to white. The feature is majorly useful if you often use Android Messages at night or under low-light conditions as it limits the emission of unwanted light from the screen. However, as Android Police notes, the app shows inverted colours in conversations once the dark mode is enabled, whereas messages that you sent to a recipient always come in a light blue bubble along with a darker blue font. You can enable the dark mode on the updated Messages app by tapping the three-dot menu key from the top-right corner for the screen and then selecting the Enable dark mode option. By following the same process, you can switch back to the normal mode as well. Apart from the dark mode, the updated Android Messages app brings Material Theme-based interface that adds a completely white background and Google Sans font. The revamped interface also replaces the original '+' FAB with a larger button that by default shows the 'Start chat' text. The text gets replaced with the new message icon once you scroll down. The updated Android Messages app also brings a Smart Reply feature that you can enable by going to the app settings. The feature uses your recent messages to show you relevant suggestions. However, Google assures users that it doesn't store the messages to offer suggestions. As we mentioned, the Smart Reply feature was initially a part of Gmail, though Google brought it to Android Messages earlier this year, but only for the Project Fi users. The updated Android Messages app is rolling out for all compatible devices through Google Play. Meanwhile, you can download its APK file from APK Mirror to get the latest experience ahead of its formal rollout for your handset.